ABOUT: Make sure you come on or after rainy days as these falls are tiny after a week plus of sun only. 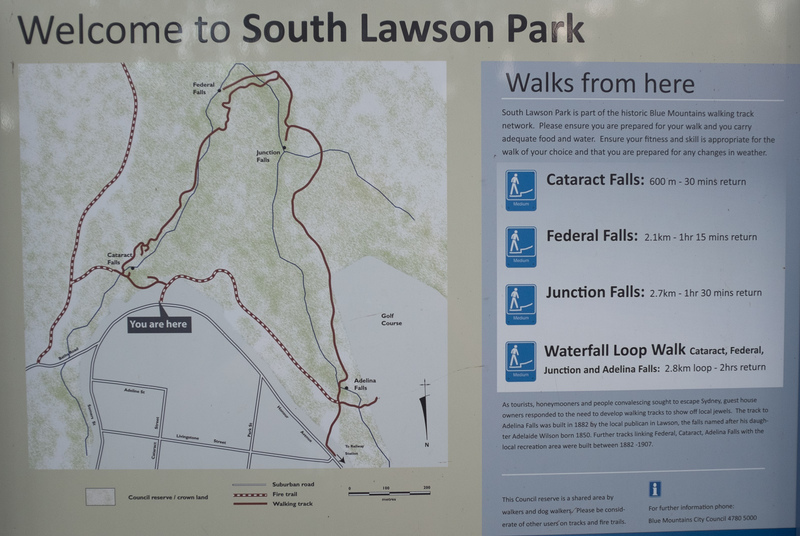 These are not really loop walks like South Lawson falls and you often have to double back for certain falls or lookouts. The easiest route is Fairy, Dantes and St. Michaels falls offering three very different photo opps. 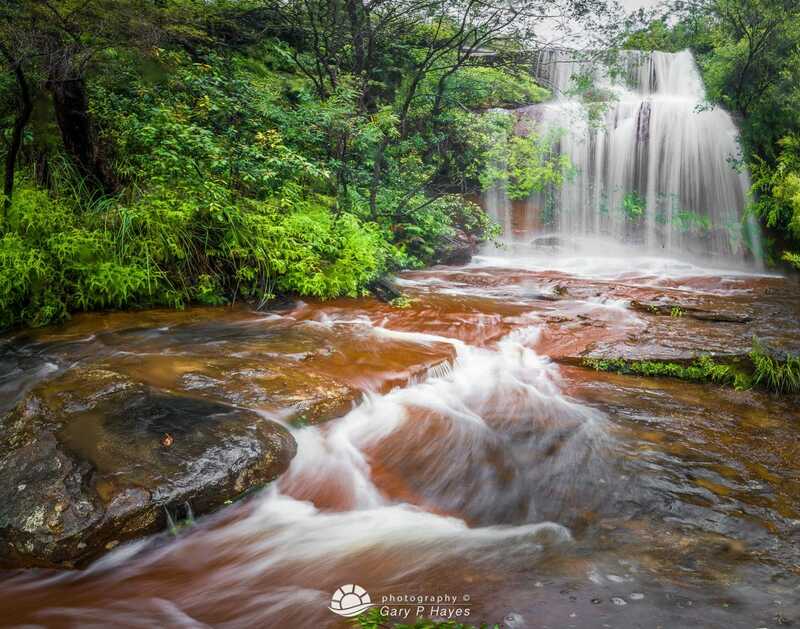 Fairy is a magical red curved sandstone falls. Continuing down a 15 minute steep rock walk way you come to a fern underworld with falls at Dantes Glen complete with hobbit like bridge and high curved canyon walls. A further short one way walk to St. Michaels falls, the most popular in this area. 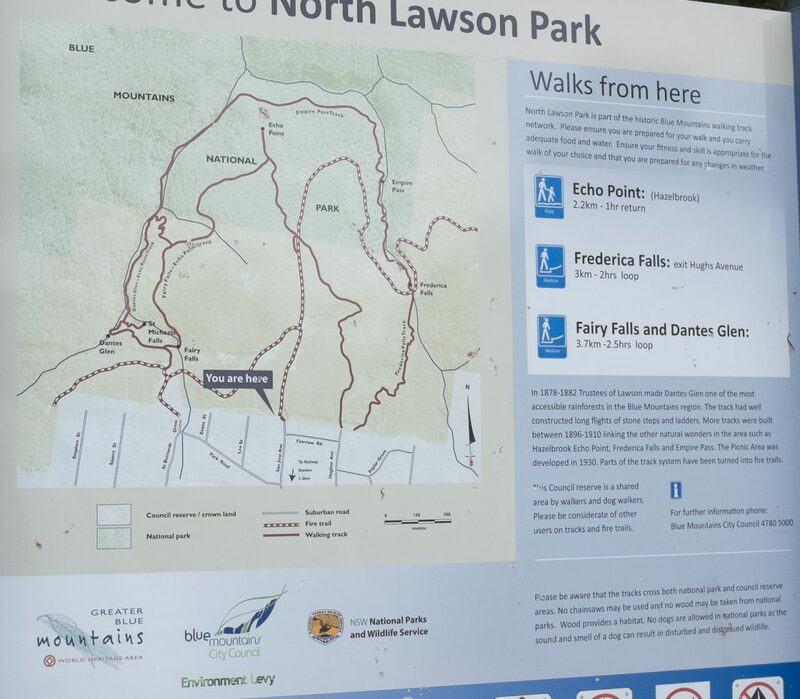 You can go on a 2km walk to echo point which has surprising views for Lawson over the deep valley, but lots of tree cover and a 3km to Frederica Falls is again worth it if you have the time. PHOTO EQUIPMENT TO BRING: Most of the falls are very enclosed and you are below them so bring as wide a lens as you have. Also the ground can get slippy so a spiked tripod is useful, especially if you put it in the rock pools oh and bring a good lens cloth as the falls spray can get on your filters. GETTING TO THE SPOT/S: See the actual park map below which has San Jose Ave as the ‘you are here’, but instead go to the end of St Bernards Drive and park (which is around the corner from Lawson swimming pool). From there it is 5 mins easy stroll to Fairy, then a deep 15 min descent to Dantes and St. Michaels.